Dec 20 This article is part of the 2009 performance advent calendar experiment. Today's article is a second contribution from Ara Pehlivanian (here's the first). There's a Belorussian translation provided by Patricia. Thanks! 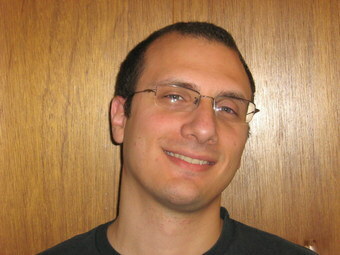 Ara Pehlivanian has been working on the Web since 1997. He's been a freelancer, a webmaster, and most recently, a Front End Engineer at Yahoo! Ara's experience comes from having worked on every aspect of web development throughout his career, but he's now following his passion for web standards-based front-end development. When he isn't speaking and writing about best practices or coding professionally, he's either tweeting as @ara_p or maintaining his personal site at http://arapehlivanian.com/. Does count have a value assigned to it outside the scope of doSomething? Or is it just not being declared correctly? Also, in a large program, having such generic global variable names makes it difficult to keep collisions from happening. This way, the length of the array is calculated just once and the loop refers to the cached value every time it iterates. So what else can we do to improve our loop's performance? Well, what other work is being done on every iteration? Well, we're evaluating whether the value of i is less than the value of len and we're also increasing i by one. Can we reduce the number of operations here? We can if the order in which our loop is executed doesn't matter. This loop will execute 50% faster than the one above because on every iteration it simply subtracts a value from i, and since that value is not "falsy," in other words it isn't 0, then the loop goes on. The moment the value hits 0, the loop stops. Again, because the evaluation and the operation of subtracting 1 from i is being done at the same time, all the while loop needs is for i to be falsy, or 0, and the loop will exit. In this example, aGlobalVar is only fetched twice, not over a thousand times. We fetch it once to get its value, then we go to it again to set its new value. If we had used it inside the while loop, the interpreter would have gone out to fetch that variable a thousand times. In fact, the loop above takes about 3ms to run whereas if avg += val; were replaced with aGlobalVar += val; then the loop would take about 10ms to run. Nesting objects in order to use dot notation is a great way to namespace and organize your code. Unforutnately, when it comes to performance, this can be a bit of a problem. Every time a value is accessed in this sort of scenario, the interpreter has to traverse the objects you've nested in order to get to that value. The deeper the value, the more traversal, the longer the wait. So even though namespacing is a great organizational tool, keeping things as shallow as possible is your best bet at faster performance. The latest incarnation of the YUI Library evolved to eliminate a whole layer of nesting from its namespacing. So for example, YAHOO.util.Anim is now Y.Anim.